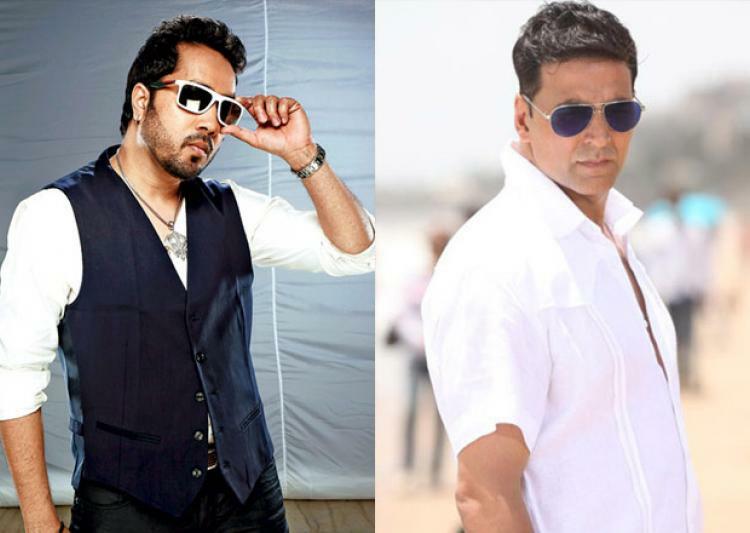 Singer Mika Singh, who has sung for Akshay Kumar in "Housefull 3", says that the superstar is very lucky for him. At the unveiling of his song "Taang Uthake" for the film, Mika, asked if Akshay was lucky for him, said: "There is no doubt about it. My first song 'Singh Is Kinng' was a big hit because of him, and then 'Chinta Ta...', 8-10 songs, I can't even remember all the songs. "And so many times, I don't even have to work hard, when Akshay paaji does a good dance, the song becomes a hit. And in this, all three of them (also Abhishek Bachchan and Riteish Deshmukh) are there, so it is just the icing on the cake." Mika had also sung the song "Dhanno" from the first part of the franchise, which was a popular song. He has also sung "Bhutni Ke" from "Singh is Kinng", "Long Drive" from "Khiladi 786 - Made in Punjab" and "Subah Hone Na De" from "Desi Boyz" along with some other songs for Akshay. Asked about his favourite from the lot, he said: "All the songs, but 'Singh is King' is all-time favourite which has become an anthem." Akshay said that his favourite Mika song for him was "Subah Hone Na De". He then quipped: "We should also give a bit of credit to the music director, if both of us eat everything what will he eat?" referring to "Taang Uthake" composer, Sohail Sen.
About Sohail, who has composed for albums such as "Gunday", "Ek Tha Tiger", and "Mere Brother Ki Dulhan", Mika said: "He is very talented, and deserves appreciation. He has also made the song, 'Tune Maari Entriyaan' so he's very talented." Mika also sang a medley of his songs at the event. "Housefull 3" has been directed by Sajid-Farhad and also stars Jacqueline Fernandes, Nargis Fakhri and Lisa Haydon.